I’ve dieted before, and I know when I get ‘in the zone’ I can be strict and be really successful. But at the moment I’m not really sure what’s happened, I guess I’m not really feeling it unfortunately. I need to get myself into the right frame of mind to do this, and I’m just not there yet. It’s very simple. I think to start with, I’m just going to try and be more relaxed about the whole thing and try to make better choices with what I eat, rather than go on a ‘diet’ and stress myself out about it! Watch this space! 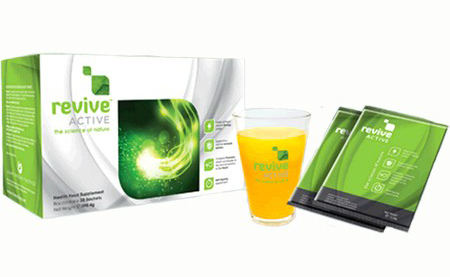 Revive Active contains over 26 carefully selected ingredients to create a potent and unique combination working in synergy, to boost cardiovascular health, increase energy levels and support the immune system. It is endorsed by leading medical professionals, nutritionists and naturopaths, including leading celebrity Nutritionist Vicky Edgson. With over 15 years’ experience running private nutritional therapy clinics in London and the author of several well-respected books on best-practice nutrition, Vicki Edgson has been working with Revive Active almost since its inception and is a self-professed supporter of the product, often recommending it to her patients. Ok so what did I think? Well to start with I made the mistake of forgetting to buy juice, I thought this isn’t a problem I’ll just drink it with water. Bad idea! This stuff tastes terrible just in water, if you want to try it definitely make sure you add it to juice! I had a weeks’ trial and can’t say I actually noticed any difference for taking it I’m afraid. I have no doubt that it has a lot of beneficial ingredients and has done me some good, but I can’t say I physically felt any different. I’d love to hear if you’ve tried this and if you felt a difference? Previous Post OOTD and a New Haircut at Penthouse Hair! Next Post Funky Skincare at The Forum! Good luck Michelle, don’t worry, you’ll soon be on track! I’m totally with you on the “diet vs lifestyle” thing, I can’t cope when I restrict all that yummy food too much. I’ve just posted photos of what I’ve been eating this week for my Weight Loss Wednesday week 2 if you need some inspiration!! Jennifer: http://www.BarelyThereBeauty.com | Come and join Weight Loss Wednesdays Here! Don’t let putting on 1lb get you down Michelle – I stayed the same this week but I know I can do it, last week I had went out for lunch 4 times with friends and lost 2lbs so it just goes to show it doesn’t matter if you have the odd off day! Good luck with next week I’m sure you’ll do great!